SKT went through a tough stretch, losing twice to Sandbox and Griffin. What have we learned about them? SK Telecom T1 started off the 2019 season with a bang. Two quick wins had fans of the brand-new all-star roster salivating at the possibility of another deep Worlds run. 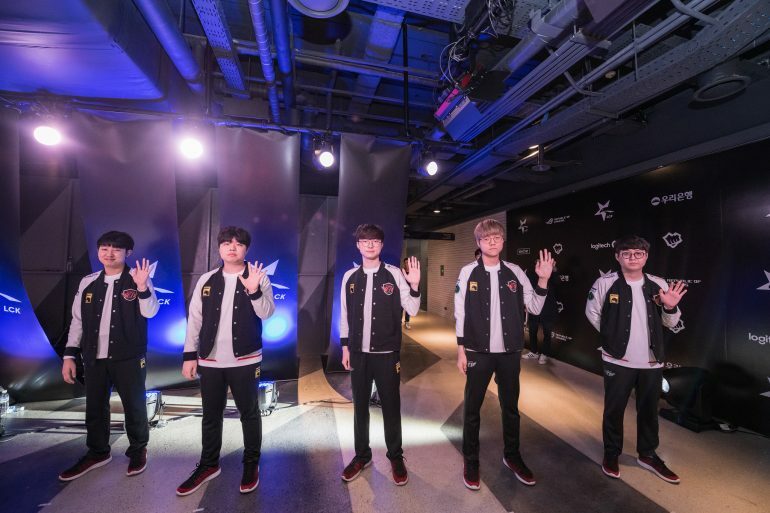 But victories over rebuilding teams like Jin Air and Afreeca were not all that impressive. SKT’s first real test was a three-game stretch beginning the second week of the season when they would face Sandbox Gaming, Damwon Gaming, and Griffin back-to-back. 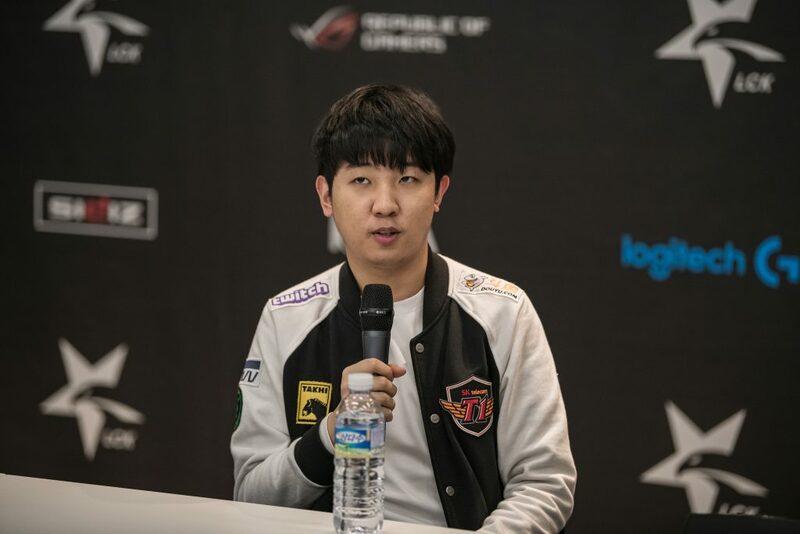 The three LCK upstarts have proven to be some of the best teams produced in the region in years. It was supposed to be a battle of SKT’s veterans vs. youth—and youth won. Griffin—widely considered the best team in the world—and Sandbox solidly outplayed SKT in their victories. And even Damwon put up a fight that made the series uncomfortably close. Meanwhile SKT did not look as coordinated as we’ve come to expect from them. They have some clear weaknesses that were exposed throughout the series. That doesn’t mean SKT fans should panic. 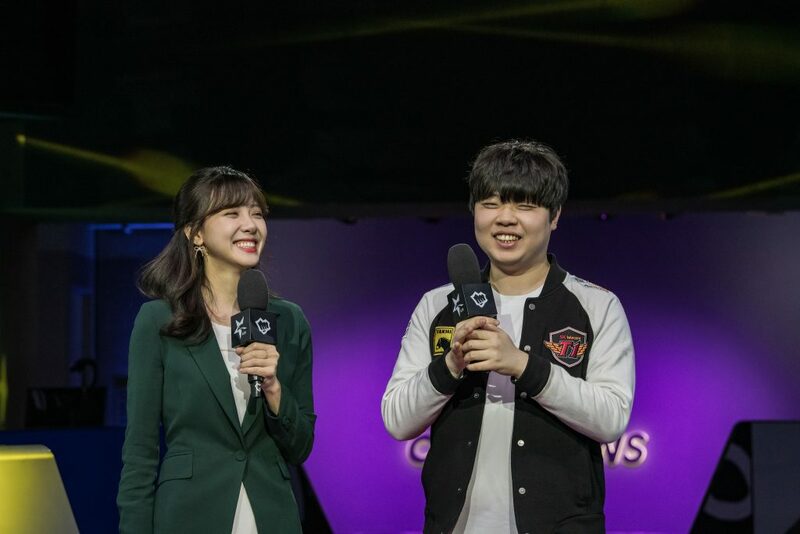 Titles are not won or lost in the opening weeks of the LCK season. But we got a glimpse into what the team does well and where it needs to improve. SKT’s ability to identify these problems and rectify will have a big impact on who brings home the Worlds trophy at the end of the year. The biggest area of concern so far has been the lane that has plagued SKT for years. Ever since its first World Championship in 2013, top lane has been a virtual revolving door with players constantly shuffling in and out of the lineup. Some of those top laners have fared better than others—SKT has won two more titles since that first one, after all. But over the last two seasons, SKT has really struggled to find someone the team can rely on. And just a few weeks into the 2019 season, it doesn’t look like new starter Kim “Khan” Dong-ha is necessarily the answer. The team has tried really hard to make him comfortable. They are allowing him to play carries like Jayce because of his past success as a split pusher on KINGZONE. Jungler Kim “Clid” Tae-min is constantly visiting his lane. In one game during the stretch, they even swapped lanes between Khan and star mid laner Lee “Faker” Sang-hyeok so Khan could get a favorable matchup. But Khan still shows issues being coordinated with the team. In some games, he pushes intelligently around jungle pressure and in others, he is caught out. His teleports and teamfighting have also been found wanting—there are multiple instances where Khan goes one way and the other four players go another. The solution KINGZONE used for that was to isolate Khan and let him do his thing. Their goal was to pose enough as a four-man unit to keep pressure off of him. SKT has tried to do that with bot laner Park “Teddy” Jin-seong. The results so far have been inconsistent, but not because of Teddy. Instead, it’s his lane partner that has been an issue. League doesn’t have a hall of fame—it’s still too young a game to think about things like that. One player who was a contestant at the very first Worlds is still active. But if that hall were to be constructed someday, Faker would probably be the first one in. But not behind him would be SKT’s new support, Cho “Mata” Se-hyeong. Mata’s built an incredible legacy across the region, winning on all sorts of teams in both the LCK and LPL. His reputation is that of a genius strategic mind with a keen sense for when to engage. So far, that sense has been off on SKT. When Mata and Teddy are playing the lane out normally, things are usually good for SKT. They lack bot-side priority, but that’s usually because Clid is focusing on the solo lanes. Some of their best wins come when Clid, Faker, and Khan are distracting the other team while Teddy scales into an unstoppable beast. Ironically, it’s when Mata decides to do stuff that things go to hell. In the second game versus Griffin, Mata made an inexcusable error in lane and fed a kill to the opposing Lucian. Just like that, the game was over—Griffin are that good. It doesn’t seem to get better when Mata roams either. SKT lost several games during their key stretch because of over-aggressive plays around the river. For some reason, they’re not taking into account where opposing junglers could be or which of their own lanes have priority and can follow up with damage. They’re falling behind in global pressure in a meta where three or more teleports is not an uncommon sight for a team. So, SKT have some issues when they overreach. But they can just sit back and scale, right? In the past, that was a viable strategy. SKT would just build CS leads and wait for late-game objectives. The problem is, League hasn’t been that way for over a year now. Teams that aren’t proactive, die. We saw signs of SKT’s issues in the third game against Damwon, the series they did win. They just sat in the mid lane for almost the entirety of the mid game, sacrificing waves in the side lanes in a desperate attempt to take the mid lane outer turret. Eventually they found a good fight in the top lane where their poke pushed off Damwon, but it was still a case of SKT looking paralyzed for much of their win. That inactivity bled into the first game against Griffin. SKT simply did nothing and watched Griffin outscale. Griffin’s star mid laner Jeong “Chovy” Ji-hoon took the first turret of the game by himself after 16 minutes. By the time SKT tried something, they were both behind and uncoordinated. It’s clear in these moments how much growing SKT have left to do. None of these guys have been together before, and things like bot lane synergy take time to build. Also, Clid has been solid for the team, and when SKT are at their best, he’s quarterbacking their wave management all over the map. 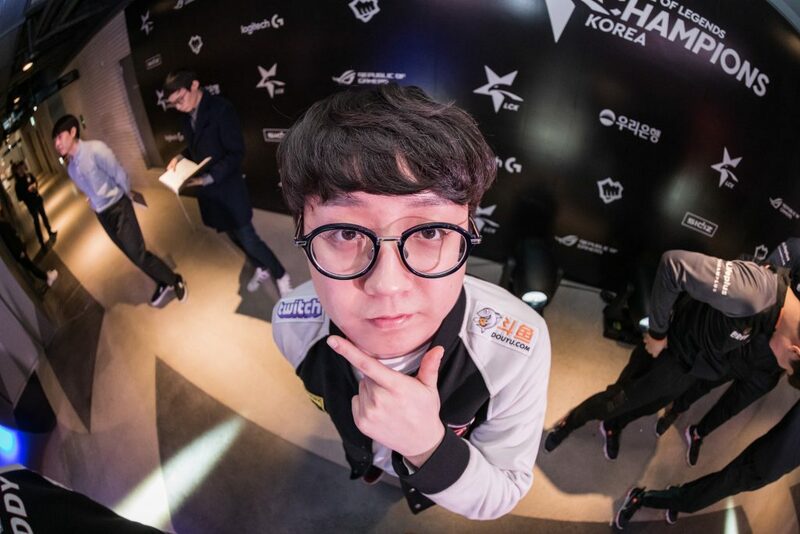 Finally, we have to talk about Faker. He’s clearly not the Unkillable Demon King of old—his opponents have figured out how to pressure him out of lane. But he’s still very, very good—good enough to win a fourth World Championship if he’s given enough help. Griffin and Sandbox look good now, but nobody in the history of League is a finisher like Faker.